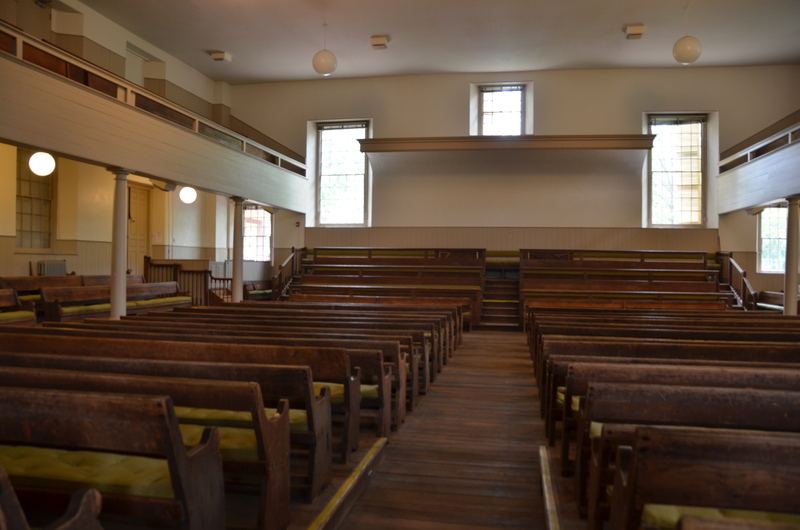 Arch Street Friends Meeting House « John Bartram Lives! 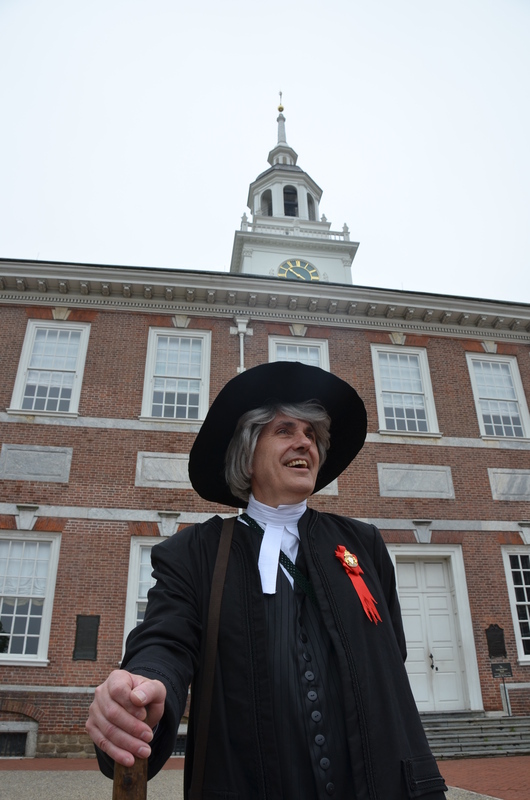 John Bartram at Independence Hall, Philadelphia PA. 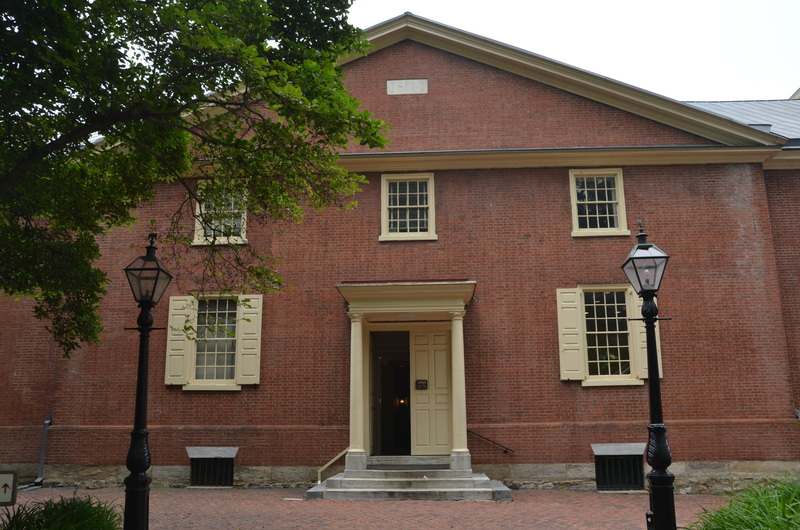 There are many sites to be visited of an historic nature in downtown Philadelphia. The obvious start of any 21st Century tour is Independence Hall. But a short walk to the north will bring the interested visitor to a hallowed place higher in station to any original immigrant member of the Society of Friends. The Arch Street Meeting House at 320 Arch Street, Philadelphia PA, 19106 is constructed on the grounds of an earlier Friends cemetery. I never set foot inside the doors of this meeting house. In my prime, the land was a burial ground for members of the Society. We don’t believe in markers or burial adornments. 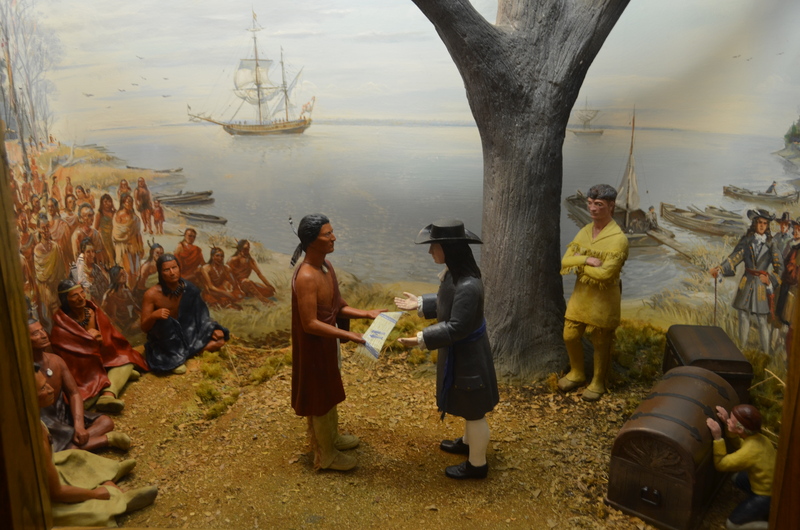 A diorama of William Penn entering into a peace treaty in 1683 with Tamanene, a chief of the Lenape (Delaware Indians) Turtle Clan. It was to be challenged by the infamous “Walking Purchase” by Penn’s successors. In later years, the land was enclosed with brick walls to keep out the rowdy boys and wandering cows. The rows of original benches in the large meeting room. By the 1800’s this building was constructed over the graves in order to give a home to the annual gathering of Friends in the greater Philadelphia area. This was ordained by a group of women, who pressed for a building that would be large enough to house separate business meetings for both men and women. This resulting structure thus includes two large spaces of equal size with matching facilities. 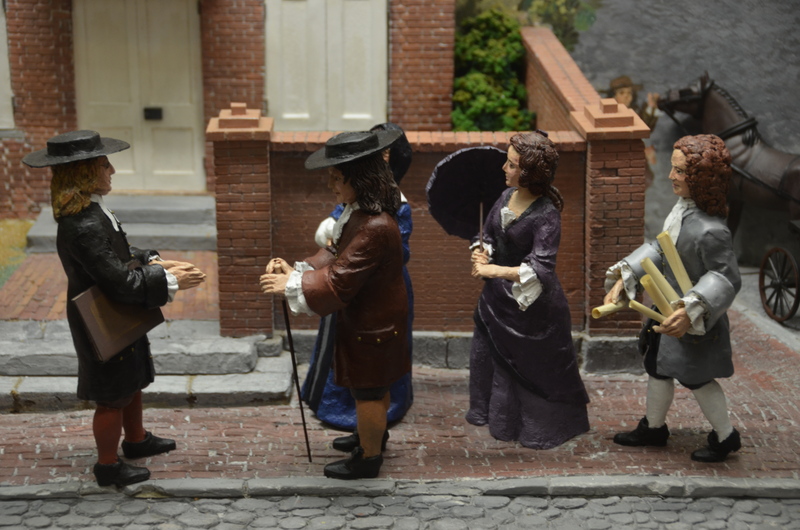 I remember the days on the streets of historic Philadelphia as if they were yesterday. That gentleman in the middle could be my younger self! It is the largest Friends’ meeting house in the world. In Philadelphia. Of course! It continues its function today as a conference center for groups of all religious persuasions. It is open daily to the general public and should be included on any respectable tour of the City of Brotherly Love!